One responsibility of managing a project is to adjust the remaining effort for staff allocated to the project. Select Work Breakdown from the Pivot drop-down list. Right-click on the task and select Task Information. Note: This may already be displayed. 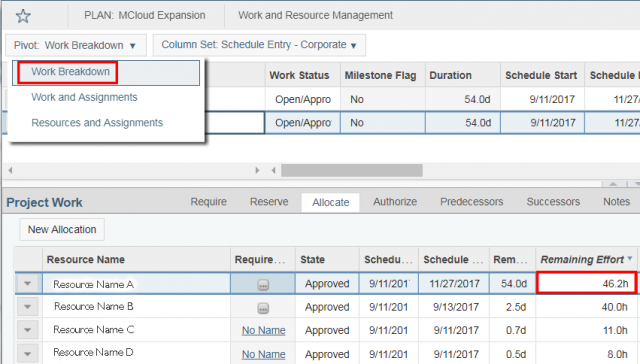 Double-click the person’s Remaining Effort value and update to new value.